BlitzWolf BW-LT11 deal. 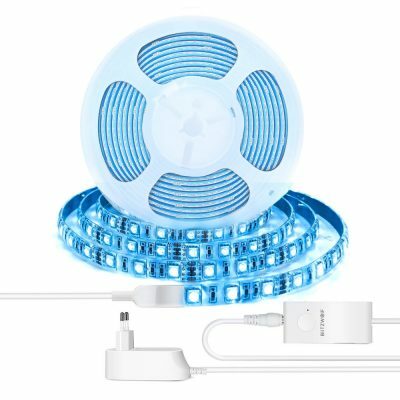 Here is an interesting deal for those looking for a Smart LED Light Strip. Banggood offers a discount coupon for this 2m LED Strip of the brand BlitzWolf which goes to $14.19. This promo code also works for the 5m ribbon that goes to $21.29 instead of $29.99. BlitzWolf BW-LT11 is available with UE or US plug, and is compatible with Amazon Alexa, Google Assistant, IFTTT.